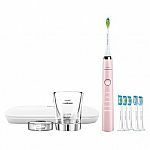 HSN has Philips Sonicare DIamondClean Classic w/ 5 brush heads for $114.95 - 15% off (newsletter signup for new customer) - $15 rebate = $85. Shipping is free. 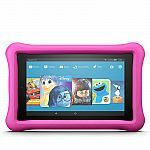 The 16GB Fire HD 8 Tablet is on sale from $115 to $59.99 at HSN. Plus the shipping is free. This is the best price I found for one by $20. New HSN shoppers can take an additional $10 off by applying the code NEW2019 in their cart. 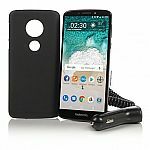 HSN has Motorola Moto e5 5.7" 16GB Tracfone w/8MP Camera & 1500 Min/Text/Data for $99.99. Shipping is free. First time customers extra $10 off with code "10NEW"
HSN has a Cricut Maker Bundle on sale for $359.99. 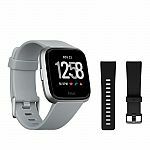 NEW customers can sign up for their emails and receive a 15% off coupon (I believe it maxes at $50 off) which makes the maker $309.99 plus tax with free shipping. Update: Shipping is now $3.50. Final Price after taxes for me came out to $46. Regular price 129.00 on sale for 79.95 @ HSN. Checkout using Masterpass for an additional 20.00 off. 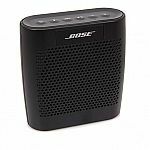 Amazon Echo 2nd Generation Voice Command Smart Speaker with Plug. You do not need a MasterCard to qualify. You can sign up to masterpass.com with an Amex or Visa. Note: MasterCard not required. Most credit/debit cards accepted.